to do what you believe is great work. I love working as a Licensed Realtor® at William Raveis Real Estate and I look forward to working with you. From Professional Horseperson to Photographic Artist to Entrepreneur to Corporate Executive to Licensed Realtor®, my life’s work has covered a lot of territory. 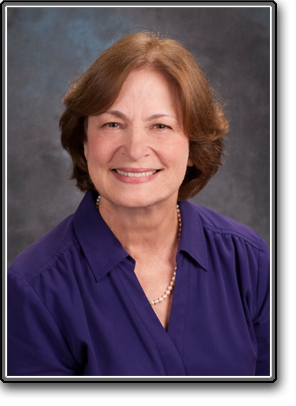 This varied experience has prepared me to relate to my clients’ goals and needs – I’ve been in your shoes! As your Realtor®, I’ll provide you with all the resources, information and guidance you need to buy or sell real estate successfully. Westchester, Putnam and Dutchess Counties in New York and Fairfield County in Connecticut are the areas that I consider home. The primary focus of my business is on North Salem, South Salem, Katonah, Bedford, Somers, Armonk, Mt. Kisco, Chappaqua, Yorktown Heights, Putnam Valley, Garrison, Ridgefield, Greenwich and the surrounding areas. On a lighter note - I’m a people person and I love music. You can often find me on Thursday, Friday and Saturday evenings sharing great food and live music with our friends at my husband Lary’s restaurant Mohansic Grill & Lounge at the Westchester County-owned Mohansic Golf Course in Yorktown Heights. Hope to see you there. An equestrian property is much more than a place to keep horses. Matching the property to your goals is not easy when your goals include horses. When I was very young my father wanted to move from the suburbs to a place where he could commute to New York and, at the same time, have horses at home to enjoy with his family. My mother set out with a local realtor to find just the right property. 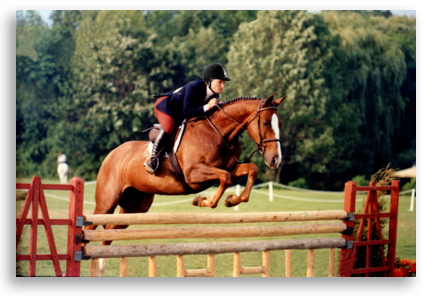 Before it was all done she’d picked out a 40-acre commercial boarding stable and training facility in Brookville, NY. That was overkill but fortunately, after some adjustment, it ended up being a success for my family. My years in the horse world took me all over the country to horse farms, large and small. I was very fortunate to have had the opportunity to study with George Morris, the renowned show jumping Olympian and trainer of the United States Olympic Team from 2005-2013. I showed horses successfully in hunter and jumper competition under his training. I was very flattered that George Morris included me in his recent autobiography, UNRELENTING. Good photos have an enormous impact on the successful sale of a home in today’s market. Capturing the best features of a home and displaying them honestly is a tremendous asset when presenting a home for sale. Photography has been part of my life ever since my dad gave me my first camera when I was very young. He mentored me as I developed as a photographer throughout my youth. My camera was never far from my side and when I moved to Westchester I began photographing the landscape and architecture of the area. 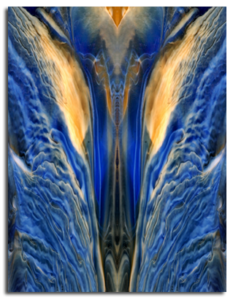 My husband Lary was the one who introduced me to my first exhibition subject, abstract macrophotography of the colored glass he uses in his stained glass studio, Art Glass Studios of Westchester. My abstract exhibition portfolio was featured in many group exhibitions in SOHO and shown in a solo exhibition in Midtown Manhattan and a museum exhibition in Bartlesville, Oklahoma, among others. This portfolio was the foundation of an educational program, FotoFantasy Creative Writing Through Creative Seeing, that I delivered in classrooms via the BOCES Artist in Residence Program in Westchester and through the Greenwich Public Schools. It often takes “out of the box” thinking to recognize the best deals when they come along. Just because everyone else isn’t doing it doesn’t mean it can’t be a big win for you. I had the opportunity to display my abstract photography in a meeting of New York City corporate executives. It only took a moment for me to recognize that I had something a bit special. They all started sharing stories about what they each saw in the photos and they all saw different things. They seemed to need to communicate with one another about what they saw. It was very surprising to see them begin using their imaginations in an instant. At that moment I realized that I needed to share the photographs, not in an exhibition setting with elites, but in a group setting with kids and adults alike, so they could get better at communicating with one another. So I developed the FotoFantasy, Creative Writing Through Creative Seeing program and delivered it in the classroom for several years. I wanted to share the program more broadly and went back to school to learn more about developing it for online delivery. My instructor saw my work and offered me the opportunity to partner with him to develop an online magazine about, of all things, horses. It was a success and the e-Zine was sold to a multimedia company in NY and I went on to the New York media scene to transition the site to its new owners. Being part of the New York City corporate world requires discipline that you can’t really appreciate until you’ve been part of it. Everything you say and everything you do has an impact on your relationships with your colleagues and it effects your value to your company. That’s not unlike the position your agent takes when you enter into a complex real estate negotiation. When I joined Merrill Lynch as an Assistant Vice President in HR Technology I used my skills as a web project manager to facilitate the implementation of the company’s first intranet. When I was promoted to Vice President my focus changed. I realized that holding large-scale global technology projects together was largely a matter of making groups on opposite sides of the project find themselves in agreement. They had to agree on enough of the essential components of the project to allow it to advance to successful completion. Staying calm, acting as the glue that holds the two sides together – That’s what makes a complex real estate deal happen. I left Merrill Lynch in 2009 when it became part of Bank of America and followed my heart to real estate.